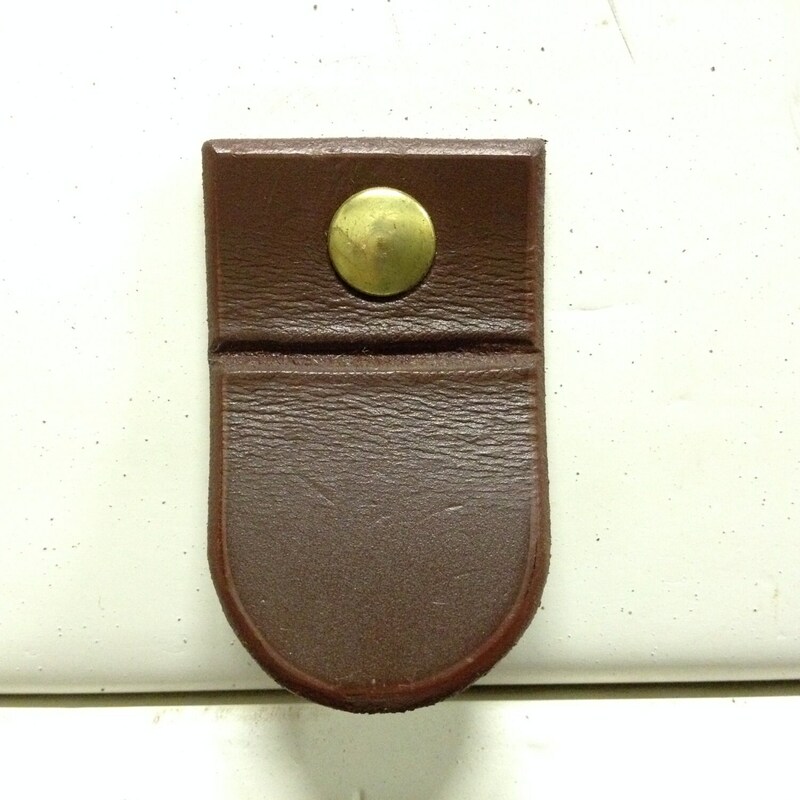 Leather pull tab is 2" x 1.25". About 1/8" thick. Sturdy and flexible. 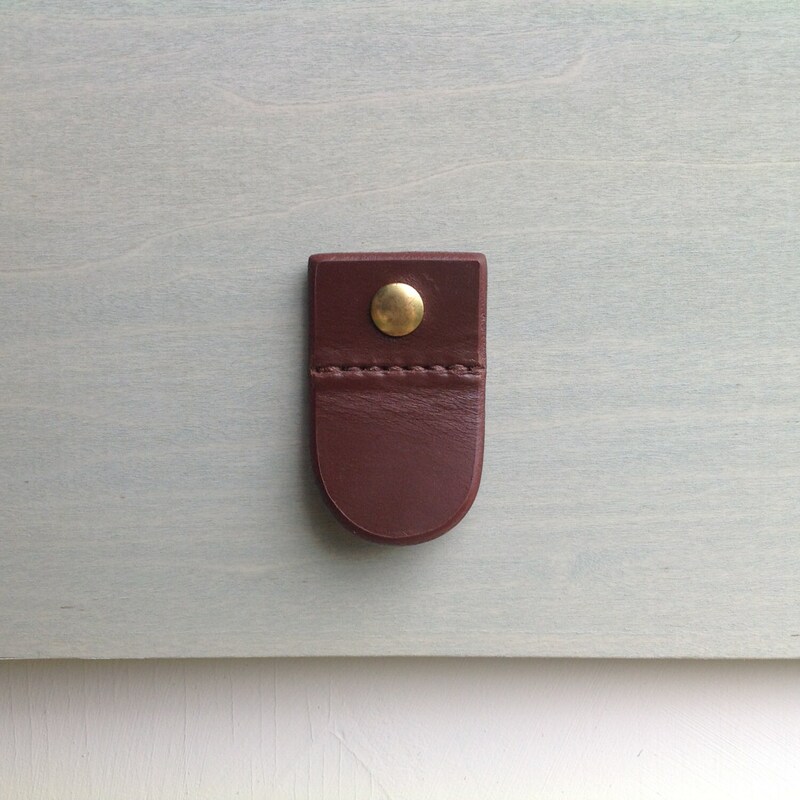 Apply to furniture drawers, cabinets, boxes, etc. Specify stitching or no stitching in the groove. 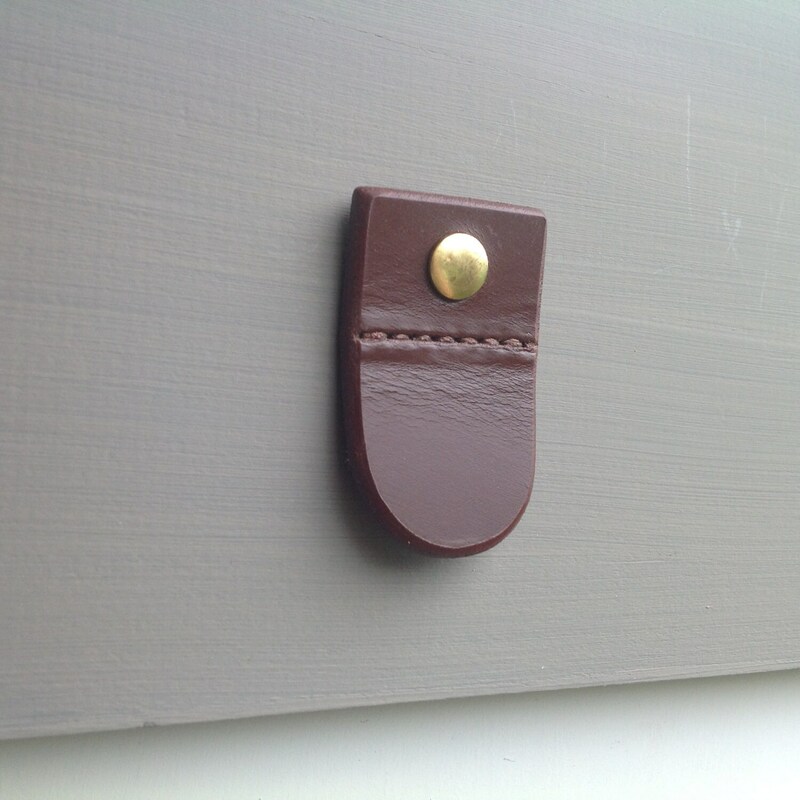 Comes with a brass or silver or black 1/2" long screw post for easy install. Tabs come with screw and post. *Screw sizes will match the thickness of your base material. So, if your cabinet is 3/4" thick then order the 3/4" screw option. Well made pulls. I used them for an Ikea closet system and they make it look like a million bucks! Great service too! Great items. Very pleased. 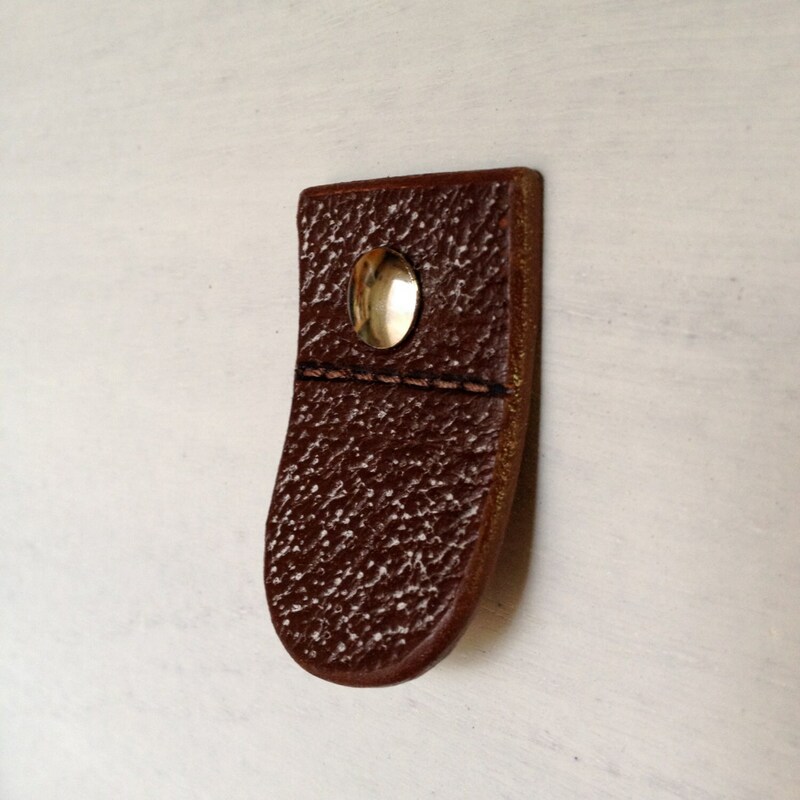 Using these as closet door pulls. 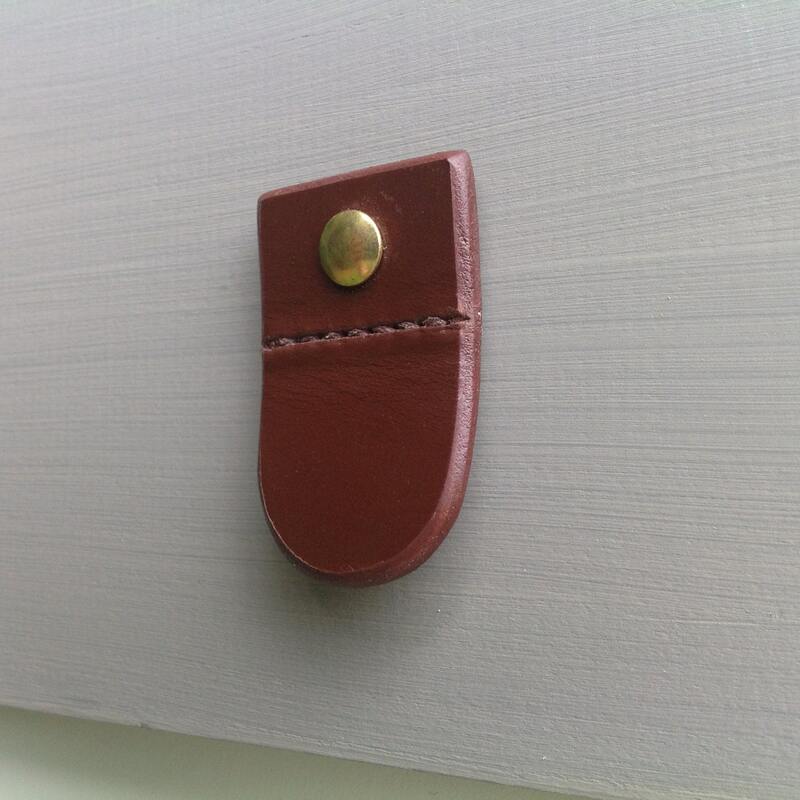 These gorgeous pull tabs look so great on my family room built in. The leather and craftsmanship are fantastic. Everyone that has seen them has commented on how beautiful they are.